It’s a name that all Melburnians know well: Brunetti. Since 1985, Brunetti has become an icon of our city’s coffee culture, first established in Carlton, then spreading to various other locations. Brunetti is home to mouthwatering cakes and pastries, and a vibrant atmosphere which is reminiscent of an Italian coffee bar on a Sunday morning. However, during celebrations for the first birthday of its Flinders Lane store last Tuesday, Brunetti revealed a new identity. The event reflected Australian elegance and glamour with an Italian twist. When the Angelè family took over the original Brunetti in 1991, they managed to transform it into a meeting place for Italian migrants seeking the flavours of the Belpaese, and for Australians curious about typical Italian sweets. Though Brunetti still preserves and promotes Italian cuisine, it has become a favourite for different members of Melbourne’s multicultural community. Last Tuesday’s festivities reflected this evolution in its guests, among them television presenter and businesswoman, Jo Hall. 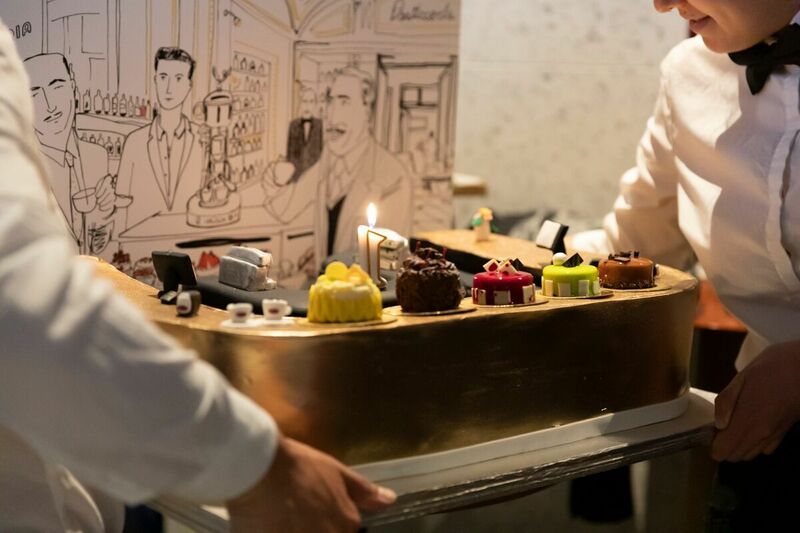 Guests enjoyed delicious cocktails and food, including a cake which represented Brunetti’s iconic dessert bar, and live music from trumpeter Matthew Charles. This story appeared in the Thursday November 22, 2018 edition of Il Globo.